With its participation in a series of international trade fairs and events in recent weeks, TecAlliance is highlighting the importance of internationalisation for the company. Whether at the Autonor in Brazil, the EQUIP AUTO in France, the KOAA in Korea or the AAPEX in the USA – TecAlliance presents itself as an innovative partner in the automotive aftermarket. The appearance at Automechanika Shanghai (29 November to 2 December 2017) will mark the end of a successful trade fair year. “Our presence at international trade fairs is a fantastic opportunity for TecAlliance to enter into an active dialogue with customers and to monitor the development of the regional markets. In a time of rapid technological change, interacting face-to-face with market shapers and being aware of their needs are more important than ever. This is the only way that we can support them on their road to success, today and in the future,” explains Sabine Rieth, Director of Marketing at TecAlliance. “Our core competence lies in improving networking among all market participants in the global automotive aftermarket and further intensifying digital collaboration across borders and companies with our established standards and solutions. As a result, we can help our customers to strengthen the competitiveness of the international IAM on a long-term basis,” adds Rieth. 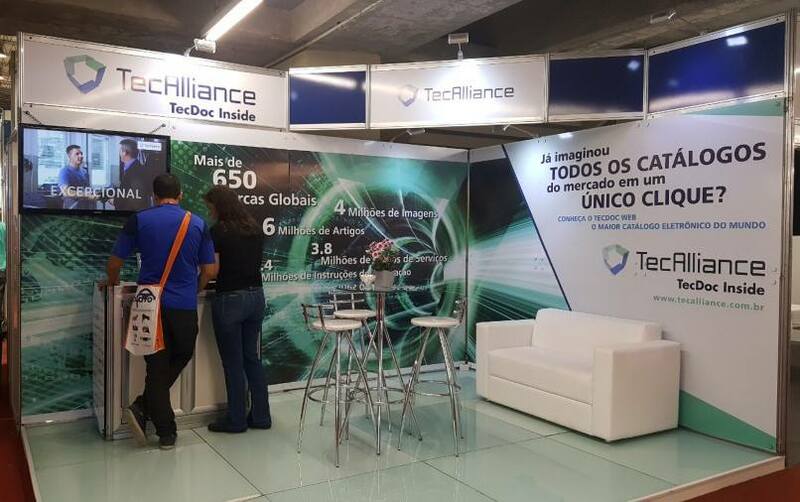 In mid-September 2017, TecAlliance do Brasil presented at the Autonor motor show, in Olinda. After Automec in April 2017, this was the second motor show in the region. The primary focuses here were on exchanging practical experience, observing current market developments and networking with customers, partners and other interested parties. The latest innovations, features and benefits of TecDoc Web were also introduced. Further up-to-date information on TecAlliance do Brasil can be found on the Facebook page: https://www.facebook.com/TecAlliancedoBrasil. In October at EQUIP AUTO in Paris, the French IAM association GOLDA unveiled the enhanced version of Order Web (TecWeb 5.0), the proven online solution for electronic order processing. GOLDA has been the exclusive distributor of TecAlliance’s order-to-invoice platform for years; during the trade fair this contract was extended for another five years. Distribution partners Albalogic, Carooline, INConcept and Opisto presented additional innovative solutions from TecAlliance at France’s most important motor show. 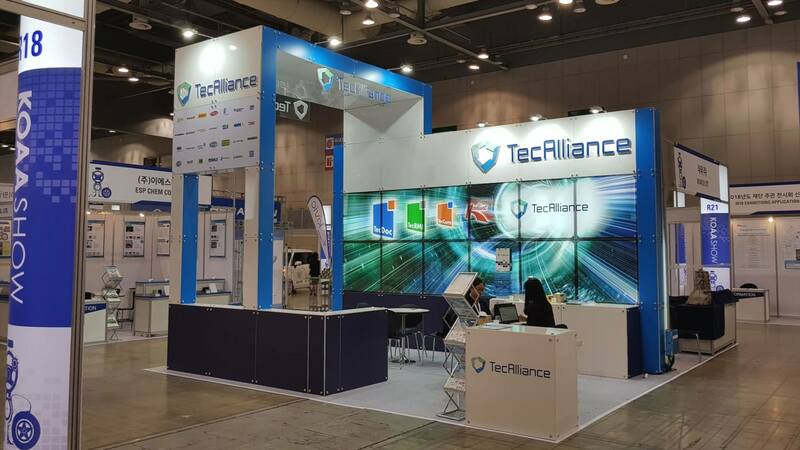 Since the opening of the representative office in Seoul (Republic of Korea) in summer 2017, business in the South Korean automotive aftermarket has developed very positively for TecAlliance. In October 2017, data providers and shareholders had a great demand for information at the TecAlliance stand at KOAA, the largest trade fair for the automobile industry in Korea. “Judging by the enthusiasm during the show, 2018 and 2019 promise to be good years,” observed SJ Park, Regional Director at TecAlliance Korea, happily. 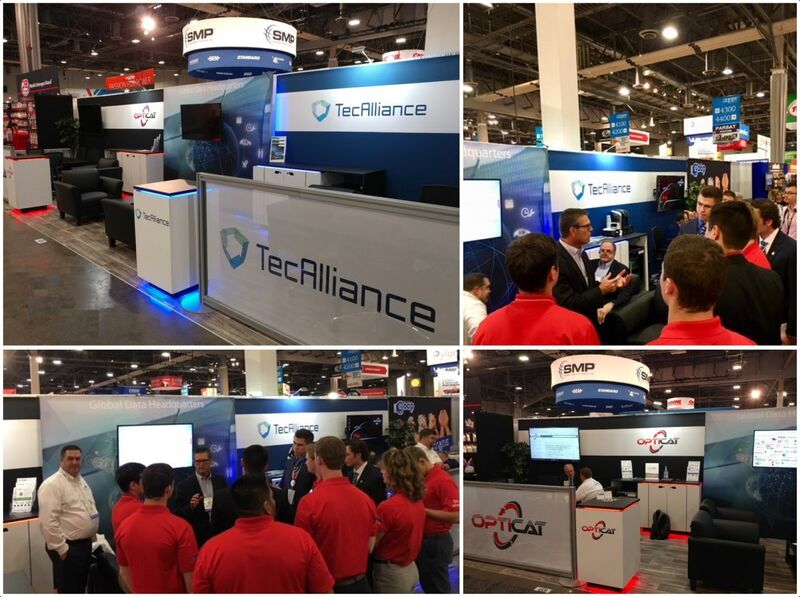 OptiCat, TecAlliance’s American subsidiary, exhibited at the Automotive Aftermarket Products Expo (AAPEX) in Las Vegas from late October to early November 2017. The feedback from the data providers, wholesalers and workshops from various countries who came to the trade fair stand was consistently positive. The newly introduced “multi-format catalogue” met with a particularly high level of interest. In North America, the data standards PIES (Product Information Exchange Standard) and ACES (Aftermarket Catalog Enhanced Standard), as defined by the Auto Care Association (ACA), are widespread. With the new solution from TecAlliance, data can be displayed and processed in both the TecDoc standard and ACES/PIES. From 1 to 4 October 2017, TecAlliance and OptiCat were represented at the AASA Technology Conference in Clearwater, Florida. As a panel participant in the debate “Global data – where is it headed?”, David Winter, Vice President of Sales & Marketing at TecAlliance, discussed with conference participants the issues surrounding the needs of global suppliers as well as the localisation of optimal data sources in the different regions. At the end of this this very successful trade fair year, TecAlliance China will show at Automechanika Shanghai from 29 November to 2 December 2017. Automechanika Shanghai is the world’s second largest international trade fair for auto parts, accessories and services. In recent years, the trade fair has proven to be an ideal platform to show the presence of innovative solutions and products in China and the entire East Asian market. This helps to exploit the great potential for growth in the region.